Tiny and bright-eyed, the spunky Pomeranian greets the world with endless curiosity and a sure sense that he’s the cutest thing around. He is clever, adaptable, and happy, whether hanging at home or performing as a top athlete on an agility course. 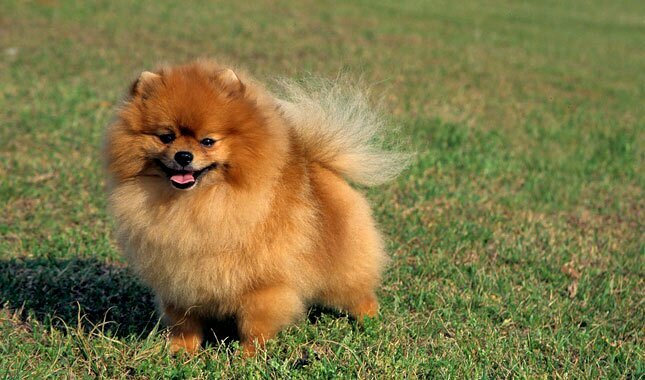 The original Pomeranians weighed 20 to 30 pounds — much larger than the Pom that we know and love today. Pomeranians are the tiniest of the Spitz, or Nordic, breeds, but they have the courage of much bigger dogs. A perennially popular breed, the Pom weighs less than 7 pounds, but you won’t often find him in a puppy purse. That’s because Pomeranians think big. They know they have four feet and prefer to use them, just as larger dogs would. Everything about the Pomeranian is bright: his eyes, his temperament, and his intelligence. Though he’s very fond of his family and delighted to get some lap time, he’s also a busy little guy. You’re more likely to find him trotting around your house on an important mission than snoozing on the sofa. 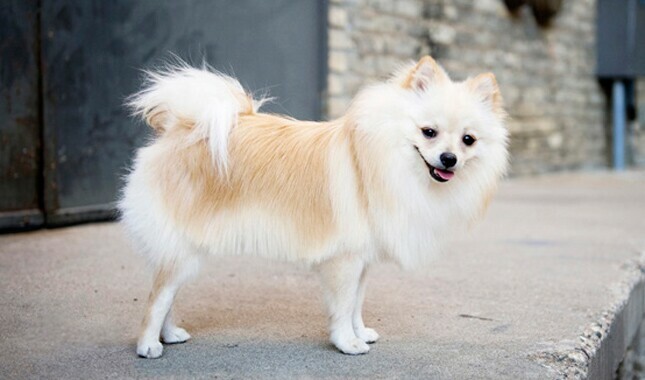 The Pom’s activity level makes him an ideal pet for someone who wants a small dog with the personality traits of the full-size sled and herding dogs from which this breed originates. Because he’s tiny, he can probably get enough exercise indoors, but he’s happiest when he gets to go on long walks, chase leaves, and play with other small dogs. He is athletic and frequently participates in dog sports such as agility, freestyle, obedience, rally, and tracking. Because of his diminutive size, he is suited to life in an apartment, but he is just as at home on a ranch or estate. However, he’s far too tiny to live outdoors. He needs to live inside with his family. Pomeranians have a profuse double coat that needs regular brushing but are otherwise easy to care for. And, make no mistake, Poms bark. It may not be deafening, but it can be annoying and difficult to stop, even with training. 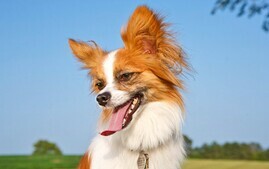 As with many small dogs, Pomeranians may be harder to housetrain. 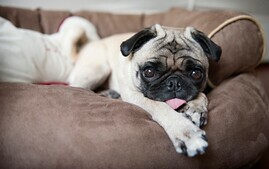 Ask your breeder about any behavior or health problems in dogs related to your prospective puppy. If she says there aren’t any, run. She should provide you with written documentation from the Orthopedic Foundation for Animals (OFA) that the parents of the puppy had normal hips, elbows, and knees, as well as from the Canine Eye Registry Foundation (CERF), certifying that they were free of vision problems. A Pomeranian can go to his new home at 8 to 10 weeks of age, but some breeders like to keep pups until they are 12 to 14 weeks old to make sure they are mature enough to go to their new homes and to see which ones will shake out as show prospects. The breed became popular in 1888 after Queen Victoria fell in love with a Pom while vacationing in Italy. 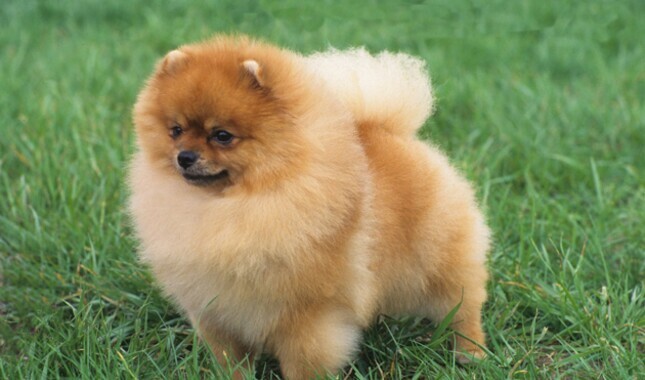 Pomeranians have a thick, beautiful coat that comes in many colors and patterns, and they are easy to groom. Pomeranians get along well with other pets but should be protected from rambunctious children. The Pomeranian takes his name from Pomerania, a region of Northern Europe on the coast of the Baltic Sea. It’s believed that this was where the dogs were first bred down in size from larger Spitz breeds. The original Pomeranians weighed 20 to 30 pounds — much larger than the Pom that we know and love today. The breed became popular in Great Britain after Queen Victoria fell in love with a Pom in 1888 while vacationing in Florence, Italy. She brought one home with her, and the breed’s popularity took off. Interest in the breed crossed the Atlantic to the United States, where the first Pomeranian specialty show was held at the Waldorf Astoria Hotel in 1911. Those earlier Pomeranians had foxier faces than the Poms of today and were more likely to be white, black, chocolate, cinnamon, brown, or cream than the red and orange commonly seen now. Poms can still come in any color or pattern, though. 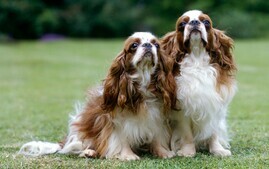 The breed is still very popular, ranking 15th among those registered by the American Kennel Club. So far, only one Pomeranian has won Best in Show at the Westminster Kennel Club Dog Show. That was BISS/BIS Am. Ch. Great Elms Prince Charming II ROMX, HOF, who won in 1988. The Pomeranian has a proud and glamorous appearance with a personality to match. He’s an extrovert who is clever and lively. It’s hard to appear in public with a Pom and not attract attention. 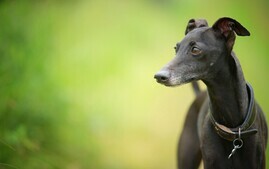 The adorable little dogs with the dark, almond-shaped eyes and alert, happy expression are tiny but intrepid. 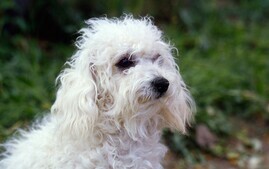 They have a take-charge temperament and tend not to be fearful of strangers or other animals. For more than a century, the Pom has had a well-deserved reputation for being a great watchdog. He may weigh only a few pounds, but he views himself as absolute guardian of his home and family. The perfect little Pom is calm and easy to live with. He enjoys sitting in your lap and giving kisses. He is busy but doesn’t bounce off the walls. That said, Poms do like to bark. Start early and be consistent if you plan to teach him the “No bark” or “Quiet” command. Poms may look like toys, but they are not good pets for young children. They are too delicate to be handled roughly, and they prefer the company of adults. Housetraining does not always come easy to Poms. They can be stubborn about going outside to potty, especially if it’s rainy or cold outside. As a compromise, consider paper-training a Pom so that you both have options when the weather is bad. Tiny dogs often come with big health problems, and the Pomeranian is no exception. 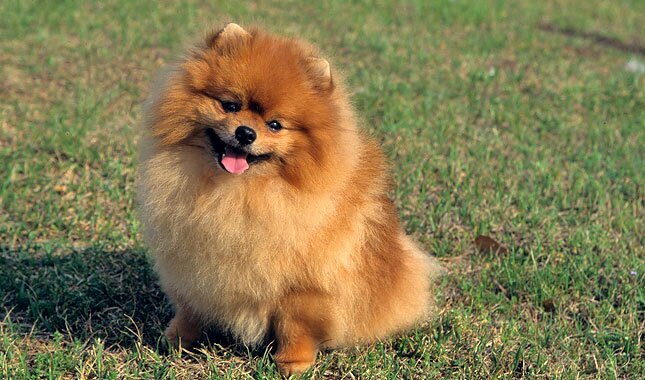 Most Poms live long, healthy lives, but they can be affected by many of the health problems common to toy dogs, such as a collapsing trachea, which causes respiratory problems and makes wearing a collar difficult. A collapsing trachea occurs when the cartilage in the windpipe becomes weak and causes the trachea to lose its normally tubular shape. This makes it difficult for the dog to breathe. Poms can have dental problems, and their kneecaps sometimes slip out of place, a condition known as luxating patellas. Ask your veterinarian to examine your dog’s knees regularly, especially if you notice him limping or hopping while running. As with many breeds and mixes, the Pomeranian can suffer from a hip problem called Legg-Calve-Perthes disease. This condition causes a reduced blood supply to the head of the rear leg bone, which causes it to degrade. The first sign of Legg-Calve-Perthes, limping, usually appears when a puppy is 4 to 6 months old. The sooner it’s caught and treated, the greater the chances the dog will have a full recovery. Legg-Calve-Perthes can be treated with surgery to remove the head of the leg bone, after which the puppy can have a normal life. Eyes can be another trouble spot for Poms. 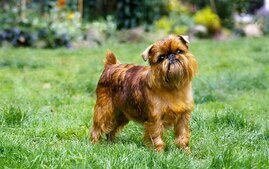 Progressive retinal atrophy, tear duct problems, and cataracts are among the eye conditions that can occur in the breed. A heart defect known as patent ductus arteriosus can also occur. Poms also suffer from a number of conditions that can cause them to lose their coats, including thyroid disease and growth hormone abnormalities. Some Pomeranians develop a coat condition that goes by many names: black-skin disease, genetic alopecia, elephant skin, severe hair-loss syndrome, or just “that coat problem.” Hair loss occurs over most of the body, and, as you can imagine, a bald Pomeranian is a sorry sight! In some cases, the condition responds to treatment. Teeny-tiny Poms? 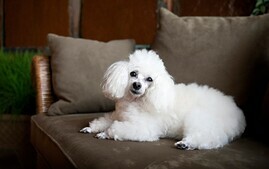 The little 2-pounders are attention-getters for sure, but they often have more health problems than proper-size Poms. It’s always a good idea to avoid extremes. Before individual Pomeranians can be included in the Canine Health Information Center (CHIC) database, the American Pomeranian Club requires them to have clearance from the Canine Eye Registry Foundation, a patella (knee) evaluation from the Orthopedic Foundation for Animals, and an OFA cardiac (heart) exam, with a follow-up exam between 3 and 5 years of age. Optional CHIC tests for the Pom include an OFA Legg-Calve-Perthes evaluation, and an OFA thyroid evaluation from an approved laboratory, recommended at 1, 3, and 6 years of age. You can search the OFA and CHIC websites yourself to see if a pup’s parents are listed. If the breeder tells you she doesn’t need to do those tests because she’s never had problems in her lines, her dogs have been vet checked, or any of the other excuses bad breeders have for skimping on the genetic testing of their dogs, walk away. Careful breeders screen their breeding dogs for genetic disease and breed only the healthiest and best-looking specimens, but sometimes Mother Nature has other ideas and a puppy develops one of these diseases despite good breeding practices. Advances in veterinary medicine mean that in most cases the dogs can still live good lives. If you’re getting a puppy, ask the breeder about the ages of the dogs in her lines and what they died of. Remember that after you’ve taken a new puppy into your home, you have the power to protect him from one of the more common health problems: obesity. 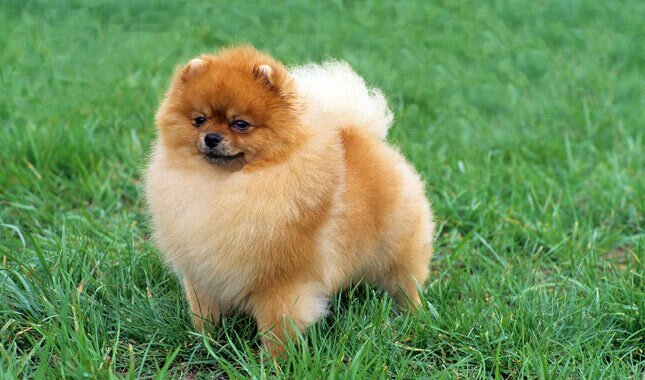 A Pom should not be fat. 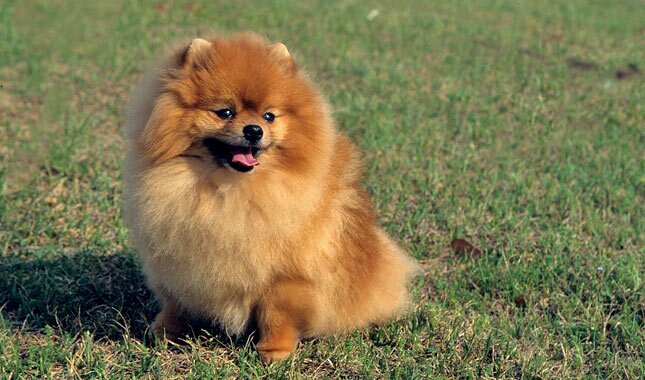 Keeping a Pom at an appropriate weight is one of the easiest ways to extend his life. Make the most of diet and exercise to help ensure a healthier dog for life. Pomeranians have what is called a double coat. The undercoat is soft and dense; the outer coat is long and straight with a course texture. Thanks to their small size, Pomeranians are easy to groom, even with all that coat. Brush the coat a few times a week to prevent mats or tangles. Use a medium to harsh slicker brush that will get down to the skin without hurting the dog. You may have heard that Poms don’t shed. Forget that. They do. Luckily, they are small enough that the amount of hair they lose is negligible. If you brush your Pom regularly, shedding shouldn’t be a big issue. Bathe a Pom every couple of months or more often as needed. If you use a gentle dog shampoo, you can even bathe a Pom as often as once or twice a week if you want. The rest is basic care. Trim the toenails every week or two. They should never get long enough to clack on the floor. Brush teeth frequently with a vet-approved pet toothpaste for good dental health and fresh breath. Finding a good breeder is a great way to find the right puppy. A good breeder will match you with the right puppy and will, without question, have done all the health certifications necessary to screen out health problems as much as possible. She is more interested in placing pups in the right homes than making big bucks. Good breeders will welcome your questions about temperament, health clearances, and what the dogs are like to live with, and come right back at you with questions of their own about what you’re looking for in a dog and what kind of life you can provide for him. A good breeder can tell you about the history of the breed, explain why one puppy is considered pet quality while another is not, and discuss what health problems affect the breed and the steps she takes take to avoid those problems. Stack the odds in your favor by finding a breeder who is in good standing with the American Pomeranian Club and has agreed to abide by its code of ethics, which specifically prohibits selling puppies through retail outlets such as pet stores. Avoid breeders who seem interested only in how quickly they can unload a puppy on you and whether your credit card will go through. 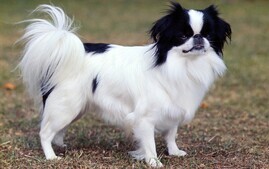 And don’t believe a seller who tells you a “teacup Pomeranian” is more valuable or desirable than a proper-size dog. Extreme miniaturization brings with it health problems and a shortened lifespan. That kind of language is a big red flag that you’re dealing with a seller more interested in money than the good of the dogs or the broken hearts of the people who buy them. Lots of reputable breeders have websites, so how can you tell who’s good and who’s not? Red flags include puppies always being available, multiple litters on the premises, having your choice of any puppy, and the ability to pay online with a credit card. Quickie online purchases are convenient, but they are almost never associated with reputable breeders.You should also bear in mind that buying a puppy from websites that offer to ship your dog to you immediately can be a risky venture, as it leaves you no recourse if what you get isn’t exactly what you expected. Put at least as much effort into researching your puppy as you would into choosing a new car or expensive appliance. It will save you money in the long run. The cost of a Pomeranian puppy varies depending on his place of origin, whether he is male or female, what titles his parents have, and whether he is best suited for the show ring or a pet home. The puppy you buy should have been raised in a clean home environment, from parents with health clearances and conformation (show) titles to prove that they are good specimens of the breed. 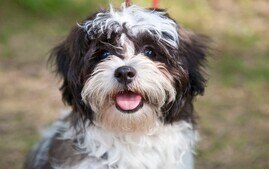 Puppies should be temperament tested, vetted, dewormed, and socialized to give them a healthy, confident start in life. Before you decide to buy a puppy, consider whether an adult Pomeranian might better suit your needs and lifestyle. Puppies are loads of fun, but they require a lot of time and effort before they grow up to become the dog of your dreams. 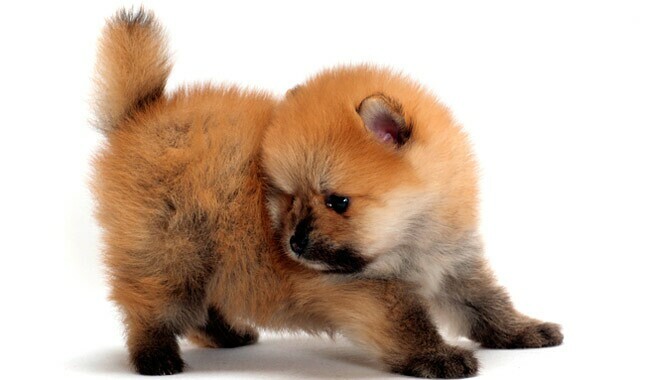 An adult Pom may already have some training and will probably be less active, destructive, and demanding than a puppy. With an adult, you know more about what you’re getting in terms of personality and health and you can find adults through breeders or shelters. If you are interested in acquiring an older dog through breeders, ask them about purchasing a retired show dog or if they know of an adult dog who needs a new home. If you want to adopt a dog, read the advice below on how to do that. 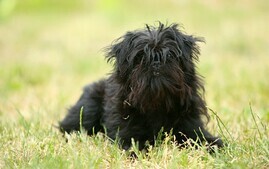 Sites like Petfinder.com and Adopt-a-Pet.com can have you searching for a Pomeranian in your area in no time flat. The site allows you to be very specific in your requests (housetraining status, for example) or very general (all the Pomeranians available on Petfinder across the country). AnimalShelter can help you find animal rescue groups in your area. Also some local newspapers have “pets looking for homes” sections you can review. Start talking with all the pet pros in your area about your desire for a Pomeranian. That includes vets, dog walkers, and groomers. When someone has to make the tough decision to give up a dog, that person will often ask her own trusted network for recommendations. Most people who love Pomeranians love all Pomeranians. That’s why breed clubs have rescue organizations devoted to taking care of homeless dogs. The American Pomeranian Club can help you find a dog that may be the perfect companion for your family. You can also search online for other Pomeranian rescues in your area. The great thing about breed rescue groups is that they tend to be very upfront about any health conditions the dogs may have and are a valuable resource for advice. They also often offer fostering opportunities so, with training, you could bring a Pomeranian home for a trial to see what the experience is like. Wherever you acquire your Pomeranian, make sure you have a good contract with the seller, shelter, or rescue group that spells out responsibilities on both sides. Petfinder offers an Adopters Bill of Rights that helps you understand what you can consider normal and appropriate when you get a dog from a shelter. In states with “puppy lemon laws,” be sure you and the person you get the dog from both understand your rights and recourses. Puppy or adult, a breeder purchase or a rescue, take your Pomeranian to your veterinarian soon after adoption. Your veterinarian will be able to spot problems and will work with you to set up a preventive regimen that will help you avoid many health issues.